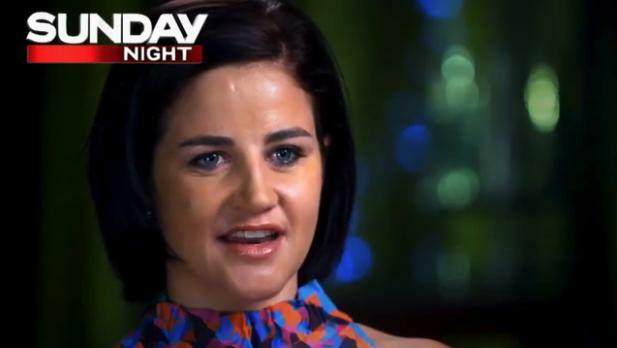 Celebrated Australian actor Rachel Griffiths says Michelle Payne’s journey to Melbourne Cup victory is the greatest untold Australian sporting story, one she can’t wait to tell. In an interview to air Sunday April 10, the star says she ‘stalked’ Michelle at a Sydney race meeting, knowing she had to secure the rights to her story. “It’s an amazing story. It’s National Velvet isn’t it, she’s our National Velvet,” Rachel Griffiths tells Sunday Night citing the classic movie starring Elizabeth Taylor about a triumphant female rider. A warm friendship developed between the respected Hollywood actor and Michelle, who did an exclusive interview with Melissa Doyle after she became the first woman to win the Melbourne Cup in November 2015. The moment was life changing and has at times been another tough ride for Michelle, whose days of anonymity are behind her. Read the full story at Yahoo7.